Following the resolution of the FCT Administration to combat armed robbery, kidnappings, vandalism and other forms of crime and criminality in the Territory, the Administration has banned the activities of scavengers also known as Baban Bola from the city centre. Accordingly, they have been directed to restrict their activities to the official dumpsites in the city only. Speaking to newsmen on the development, the Secretary, FCTA Social Development Secretariat, Ladi Hassan, said the action was necessitated by the outcries from various residents to the effect that many valuables have been lost to scavengers in the territory. He noted that, many public utilities have been targets for vandalism and robbery activities that carried the footprints of Baban Bola operatives. Ladi Hassan stated that under the guise of scavenging from refuse bins in neighbourhood across the city, the Baban Bolas have been involved in many criminal activities from petty stealing to armed robbery, vandalism of public utilities and other forms of crime and criminality. 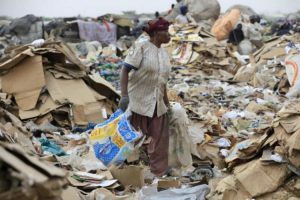 To put an end to this therefore, the Secretary said Baba Bolas are to operate only at the Gousa, Karshi, Bwari, Gwagwalada, Kwali, Abaji and Kuje approved dumpsites as opposed to moving from one neighbourhood to another collecting waste objects across the city of Abuja. His words, “In furtherance of the commitment of the Administration to protect and secure lives and property of all residents of the Territory and in accordance with section 35 sub-section 1(i) of the AEPB Act of 1997, which prohibits the collection and disposal of refuse without authorization, the FCT Administration hereby bans scavengers a.k.a Baban Bola from collecting, disposing of refuse, trespassing on refuse bins or similar activities in any part of the Federal Capital City. Pursuant to the foregoing, the Secretary requested the security agencies to arrest and prosecute anyone found to be violating the directive and plying their trade outside the official dumpsites. 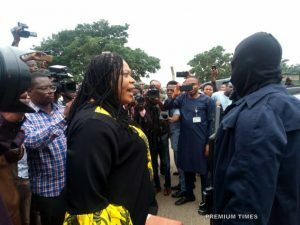 It would be recalled that the FCTA had earlier given a May 2018 deadline to the group to seize their indiscriminate activities in the territory after it held a meeting with the leadership of the Abuja chapter of Baban Bola and craftsmanship last April.